Enjoy the sunshine while lounging on this authentic Ella Pestemal Fouta Turkish cotton bath and beach towel with fun fringe. The towel dries fast and is perfect for daily use, travel and toting in any beach bag. 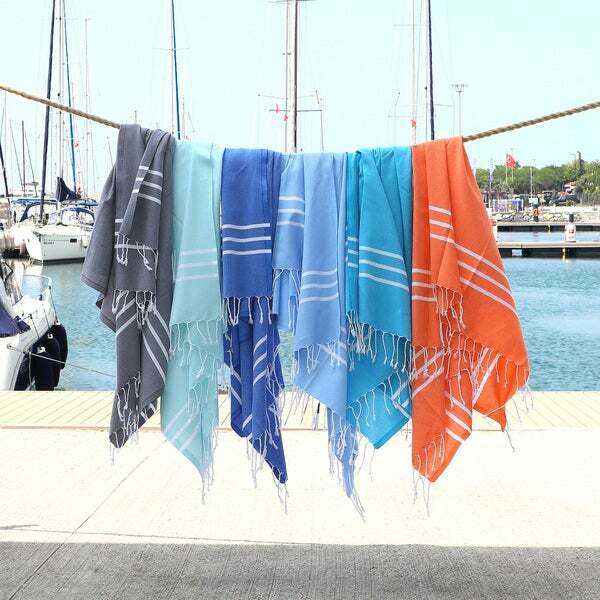 Its versatility make it a great sarong, bath or beach towel, blanket or even a tablecloth. the other turkish towels on the site are much more luxurious, but they sold out of the color I wanted and were our second choice. "What are the dimensions of these towels?"